I live in a city that is used to homogeneity, not multiculturalism. In the last year though this town has been forced to welcome more and more people from other countries. I consider this a huge enrichment. It’s interesting to hear what these people have to tell us about their lives, their home countries, their home cities, and their food. But sometimes they don’t want to talk about what they’ve left behind. So food is the safest topic. The people I’ve met so far are very proud of their traditional dishes and they love to share their recipes. With their help I have learned quite a lot about Arabic cuisine. And I have been gifted ingredients. This is fresh za’atar. What most of you may know as a spice mix is in fact a term for several Arabic herbs. 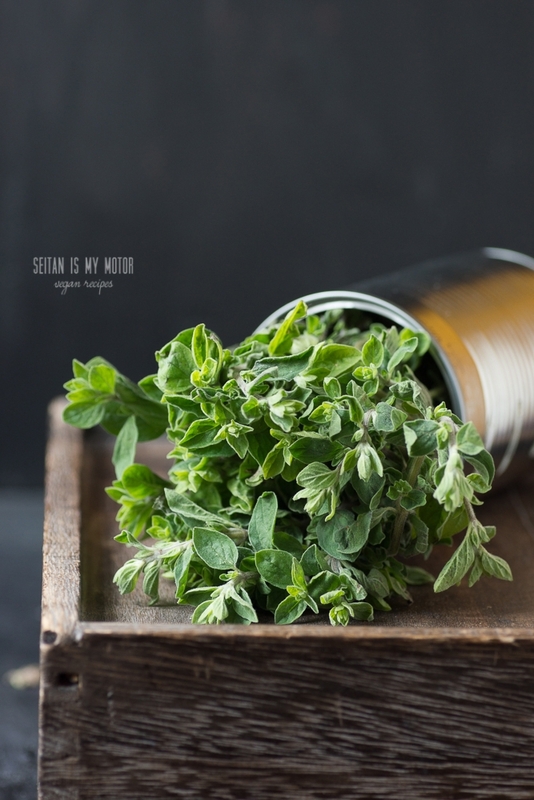 The spice mix made from sumaq, sesame, and za’atar is named after these herbs. Although I am pretty sure that mine is a batch of oregano (you can find thyme za’atar, too), the neighbour who gifted me this insisted I had to call the herb za’atar. I probably should have posted an audio clip of me trying to pronounce this, too. The ” ‘ ” in the middle of the word stands for the Arabic sound Ain, which sounds like you’re gagging a bit. It’s hard to pronounce if you’re not used to makings sounds in the back in your throat. The pronunciation of sumaq is similar. The “q” stands for the arabic letter “qaf”, which is almost like a “k” sound, but has to be produced much deeper in your throat, too. You better start practicing this one, because there’s qaf in the word manaqeesh as well. 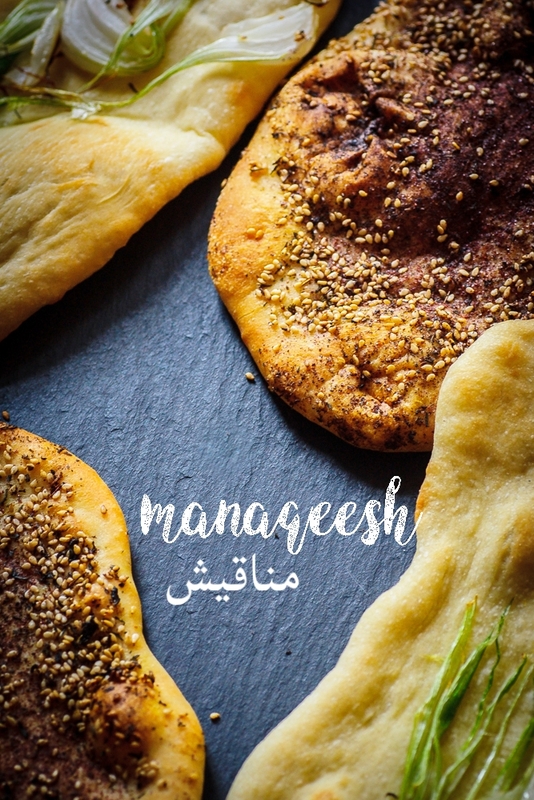 Manaqeesh is one of my favorite Arabic foods so far. I mean it’s bread. Who doesn’t love bread? It’s also very easy to prepare. Since it’s often topped with spices, it is also very aromatic. The bread itself is very basic and made from a dough, that is very versatile. You don’t have to use it for manaqeesh exclusively, you can also make pizza or pita from it. I decided to go with two batches: The first one was topped with the classic za’atar mixture (manaqeesh bi’l za’atar) and spring onion. The second one wasn’t topped at all, so I could get a batch of fresh pita bread. 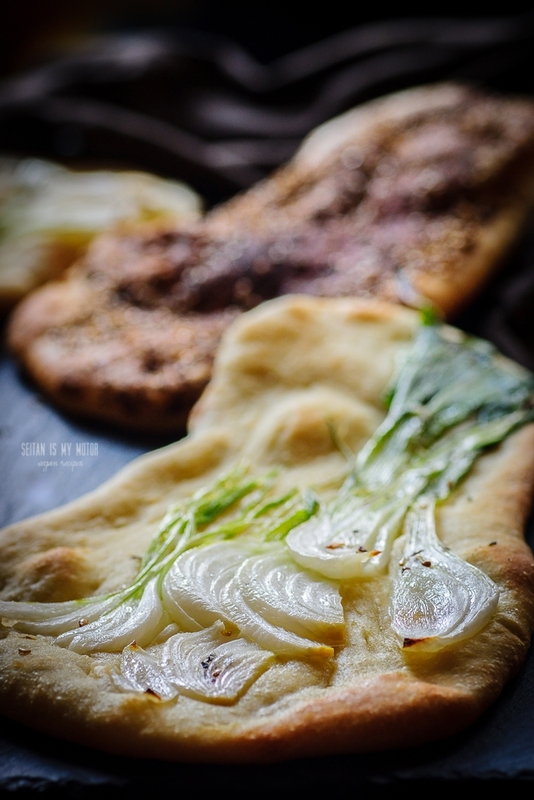 I made the spring onion one because a Syrian acquaintance of mine had told me that you could put anything on manaqeesh. But when he saw the spring onion on top, he looked confused and wasn’t really sure if that still could be called manaqeesh. Although I should probably have stuck to a more traditional version, I really liked the simplicity of the onion version. Baking bread always brings me so much joy. Especially during summer. That is when a bread dough just won’t fail because temperatures are perfect for the yeast to thrive. Although I hate it when our flat gets heated up, I do forget about the warmth when I can spent a Saturday afternoon in the kitchen. I switch on the oven and choose the highest temperature setting (250°C in our case). The heat is almost unbearable on a day when it’s already 28°C outside. But I know that I will be rewarded for all that sweating. Fluffy and soft homemade bread is the best thing ever. And it is so easy! 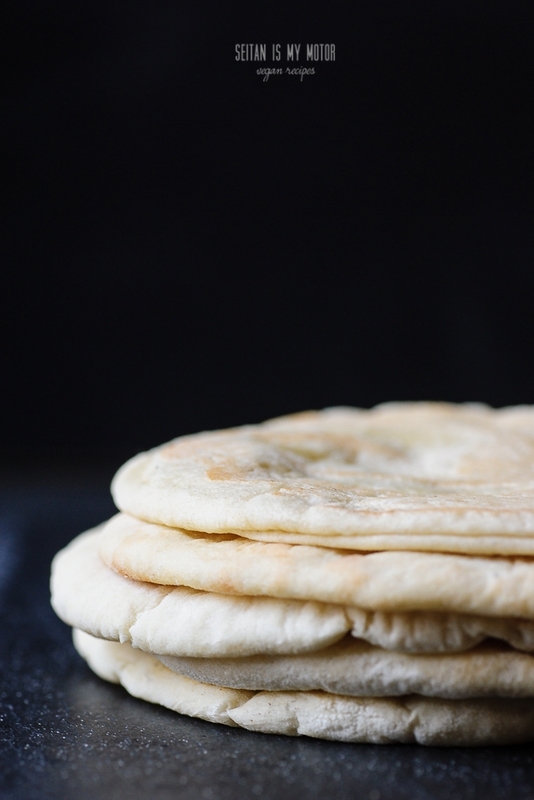 With these flatbreads, there’s not so much you can do wrong. Mix the dough, let it sit, knead and shape it, pop it into the oven. Five minutes later you can take it out. Ten to fifteen minutes later you can eat it. Doesn’t get much better. I used only a tiny amount of yeast for my dough, so the first rise would take a couple of hours to compete. That way not only the flavour improves. We also could let the dough do its thing while the whole family headed out to the playground. For this bread I used fresh baker’s yeast. It’s an item that is available at every German supermarket and if you can find it where you live as well, I very strongly advise you to use it instead of dry yeast. In my opinion fresh yeast makes a difference. It leads to a better rise, a better texture, and a better taste. Manaqeesh is best eaten very fresh by the way. You can wrap it in foil, plastic or a kitchen towel to keep it fresh for a while but it will get a gum like texture when it’s been out for too long. Crumble the yeast into the centre and sprinkle the sugar on top. Add the water and let sit for 10 to 15 minutes or until the yeast looks frothy. Add oil and salt and knead the dough for 5 minutes (by hand). Place an ungreased baking sheet in the oven and preheat the oven to 250°C. remove dough from bowl and knead again for 1 minute. Roll the pieces into 1/4 cm thick disks. Carefully remove the hot baking sheet from the oven. Place two flatbreads on the sheet and place the sheet in the oven. Bake the breads for 5-7 minutes or until they are just lightly browned. Place the breads on plate and cover with a clean kitchen towel. * The temperature in my kitchen was around 23°C and the rise took about three hours. You can also place the bread in your fridge and let it rise over night instead. ** For the za'atar spice blend combine three tablespoons dried za'atar herb or oregano, 2 tbalespoons sumaq, 1 tablespoon sesame seeds, and 1/2 teaspoon salt. 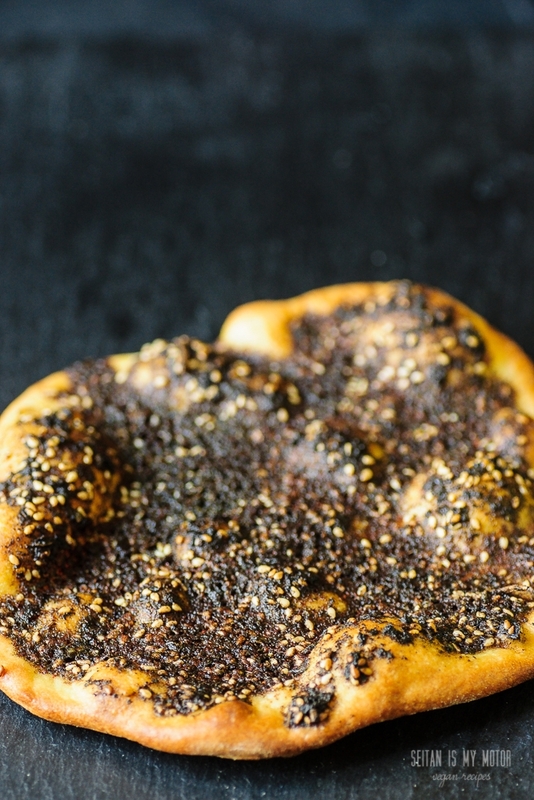 Yum yum I love zaatar, would be perfect with hummus and mezze!! Thank you!! Lovely post Mihl, and the flatbread looks just divine. I too agree with your view about enrichment, I think it’s a beautiful thing to be able to share food and culture in this way. I am a social worker, and work with families from various backgrounds, many that have come to Australia on humanitarian visas.Often the families have been excited to talk about and share their cooking with me, which I consider a privilege. How lucky I’ve been to learn about beautiful Somali, Ethiopian, Sudanese, Vietnamese cuisine and more, and the value I think it adds to all societies to have such diversity. I loved reading this post and it made me miss baking days. I wish I was eating bread with you right now! i love everything about this beautiful post – the bread, the pictures, the stories, the new neighbors, and your warm attitude toward them. How are your arabic lessons coming? A long while back I learned a little farsi, and I learned how to make some of those “back of the throat” sounds. They’re kinda fun and cool once you get used to them! I love that your neighbor brought you fresh herbs… and that another insisted you could put anything on manaqeesh, but then was confused by the onion. ha ha. This looks and sounds right up my alley. Dried za’atar mix with sumac and sesame seeds is totally one of my favorite things! 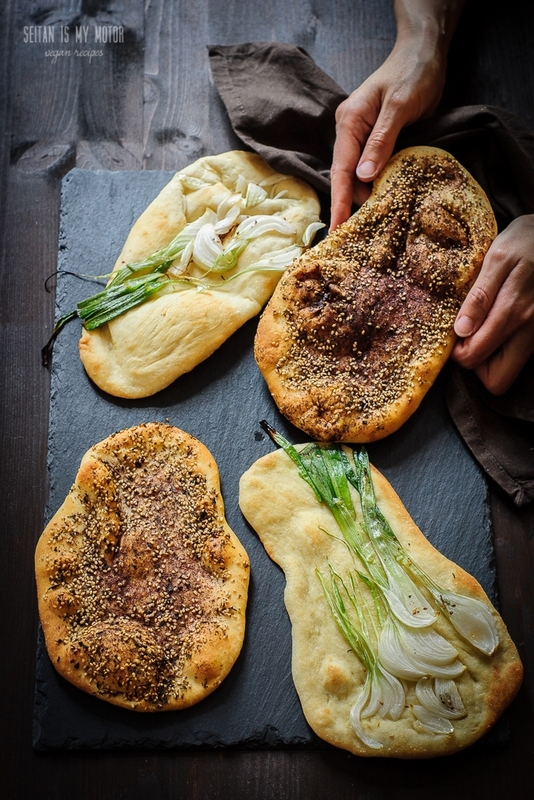 My mouth is watering looking at the one with the za’atar — those photos are beautiful! Thank you for sharing this recipe (and for sharing your city. I also meant to add that I too love baking bread in the summer, for all the reasons you mentioned! Great, Great, Great! Love the idea of adding recipes from people who chose to come and live with us – such an enrichment in every respect. The ingredients sound promising. Next weekend will be “New Bread Recipe” day. Thank you for enlarging our bread horizon. Awesome! Please let me know if you try the recipe.